Fishing Gloves Outdoor activities essential equipment in darkness place. Easy turn on and off, Power by 2 button batteries easy to change. 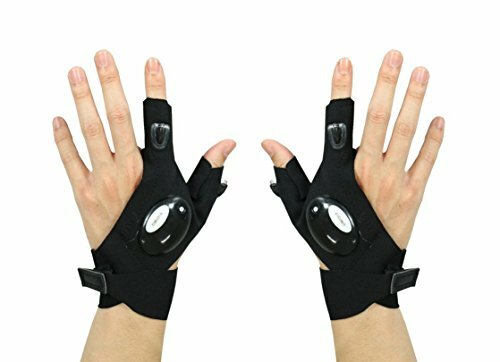 Note: Received not working led gloves please don\'t worry.Please try to change a new batteries. Funny idea but it worked! Don't know what I did without these! Perfect for helping with projects!